We hit it–thanks to you! 10,000 likes on my facebook page. 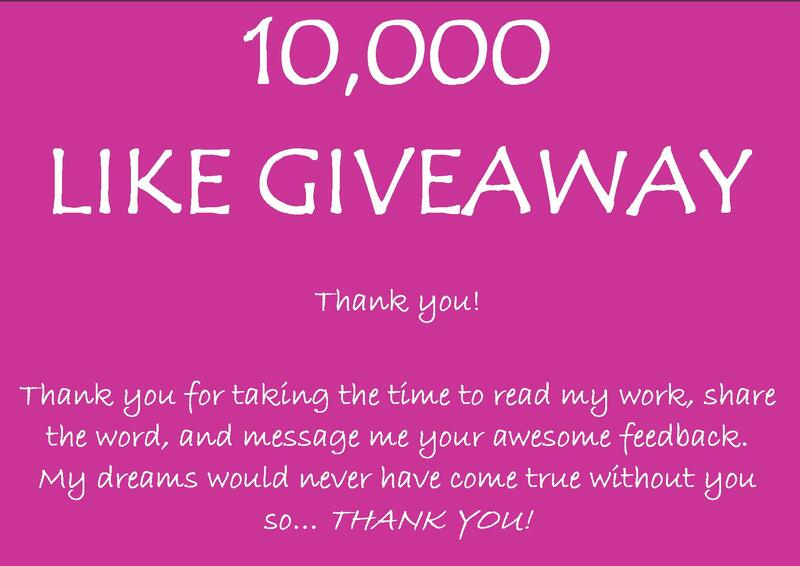 I have to say the last few months have been an absolute whirlwind, and soon I’ll do a long post about every step that my journey has taken me, but for now I want to celebrate hitting 10,000 likes and launch a giveaway that will run for Six Days. All you have to do is click on the Rafflecopter link to find the entries needed. There are a stack of ways to enter. Pick some and ignore others, do whatever you’d like.